Arthur A. Levine Books, 9780545382137, 304pp. funny observations are what make Brockenbrough\u2019s first book for teens so much fun. 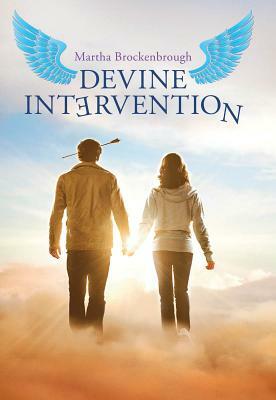 Review: 'Devine Intervention' shows there's life in afterlifeMartha Brockenbrough's young adult debut is a snarky but sweet tale of teen angels in training. In Martha Brockenbrough's heaven, old people show too much leg playing leap frog, and the church choir covers classic rock. Clearly, Brockenbrough is not a follower of the New Testament. That's good news for heathen readers who will delight in the author's absurdist take on the after life in her devilishly riotous young adult debut, \u0022Devine Intervention.\u0022 Steeped in the heavenly tropes of guardian angels and lost souls, \u0022Devine Intervention\u0022 is a satire in the vein of Libba Bray's \u0022Beauty Queens,\u0022 only with a decidedly sacrilegious twist. Jerome reacts as any dead teen would when denied immediate entrance and given specific rules to follow to reclaim his soul. He misplaces the handbook and proceeds to violate its Ten Commandments for the Dead. Among his soul rehab assignments was playing guardian angel to 16-year-old Heidi, but the one time he was really needed, Jerome was too busy yukking it up with a fellow SRPNT member to prevent Heidi from walking across a frozen pond and falling through the ice to her death. Now Heidi and Jerome are both in soul limbo. The two are quite the odd couple. Heidi is a \u0022not hot ... cross-dressing lumberjack,\u0022 according to one of the book's uncharitable bit players. Jerome is a sexually frustrated virgin. But in death, their relationship is like an old marriage — more familiar than romantic, as well as conflicted, especially once Heidi realizes Jerome may have jeopardized her soul through sheer laziness. They do have one thing in common that's likely to resonate with the book's intended audience. Neither Jerome nor Heidi felt loved by friends or family or were especially true to themselves when living. Death allows them to witness loved ones from another plane like a scene from Charles Dickens' \u0022A Christmas Carol.\u0022 Seeing others grieve their absence builds the self esteem of these troubled souls and brings some emotional heft to a story where comedy dominates. \u0022Devine Intervention\u0022 is told in chapters that volley between a third-person perspective on Heidi and first-person narratives about Jerome. While both perspectives are written with searingly inventive humor, it's Jerome's voice that will have readers flipping pages as quickly as they can turn them to see what he'll have to say next. It is a pleasure to read a writer who so delights in language, and who writes so captivatingly in a teen voice with such imaginative description.